Come experience a wonderful evening of deep meditation, community love, sacred sound, and general good vibes! We open the evening with Rebecca WhiteRaven and Kevin Guerette leading an hour of sacred chants from a variety of spiritual traditions. We all benefit and are transformed by the energy these chants invoke. Next, Stef Caissie will lead with some meditations and breathwork to calm the mind and body. Once we have found our inner silence and peace, we will get comfy and relax as we play gongs and other sound healing instruments. Allow the sound vibration to move through you and release whatever no longer serves you. Bolsters and song sheets will be provided. No need to bring anything, but you are welcome to bring water, a yoga mat, or anything else you like to be comfy and feel good. For Stefan, Yoga isn't just a physical practice but a way of life. 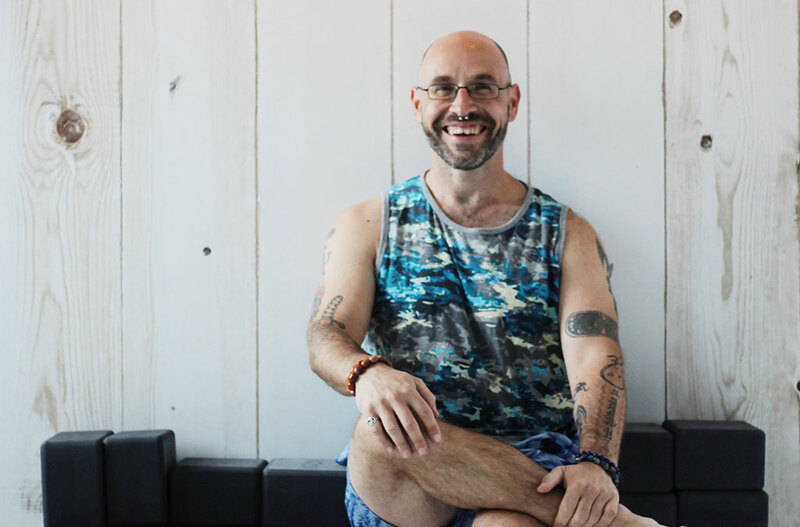 Already having a solid meditation practice, a shoulder injury brought him to his first hot yoga class 10 years ago. His passion grew as his body healed and his anxiety lessened. For someone with an extreme fear of public speaking, it was a big step to move to a completely new city to take the Hatha 200HR training in 2013. Having expanded his knowledge with Yin and Kundalini Yoga, his classes will have strong breath awareness to increase mind/body connection. With his clear explanation of postures, calming voice and meditative style, everyone leaves super "chilled out".